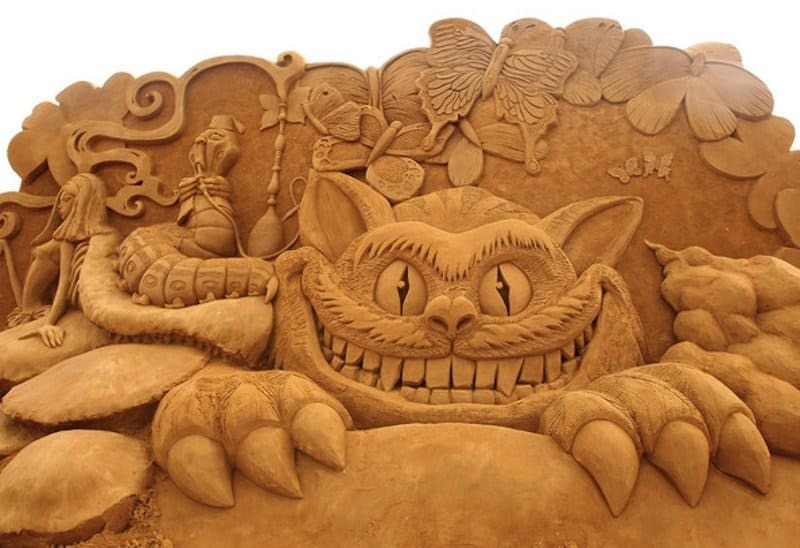 Sand sculpting is a hobby people don’t hear about every day, but did you know there are numerous sand sculpting contests held each year in the U.S. and the rest of the world? There are! 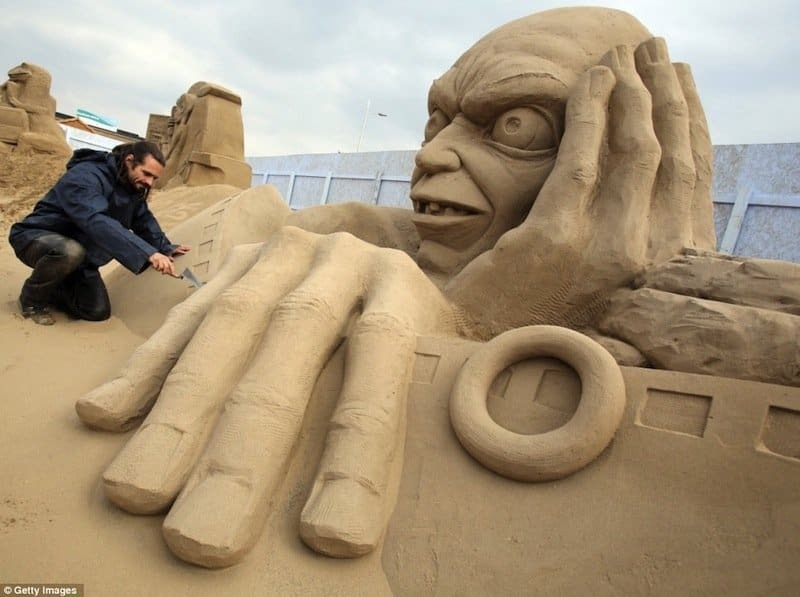 Skilled sand-sculptors are amazing for the detail, discipline and creativity they bring to their work, and many of them could give the historical sculptors like Donatello and Michelangelo a run for their money. 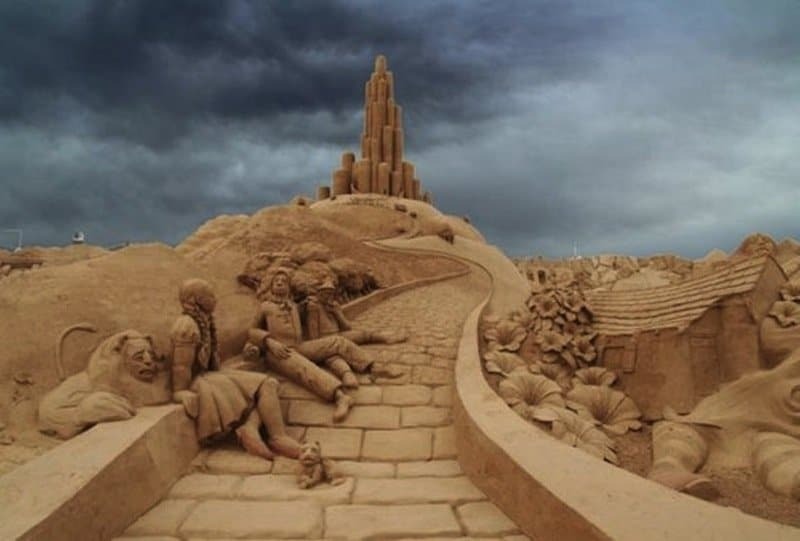 Sand-sculpting is certainly an art form, and as you check out the following pictures, you’ll be amazed with the variety and creativity these sculptors bring to their work. Whoever built this must have wanted a beachfront property, right by the yacht harbor. 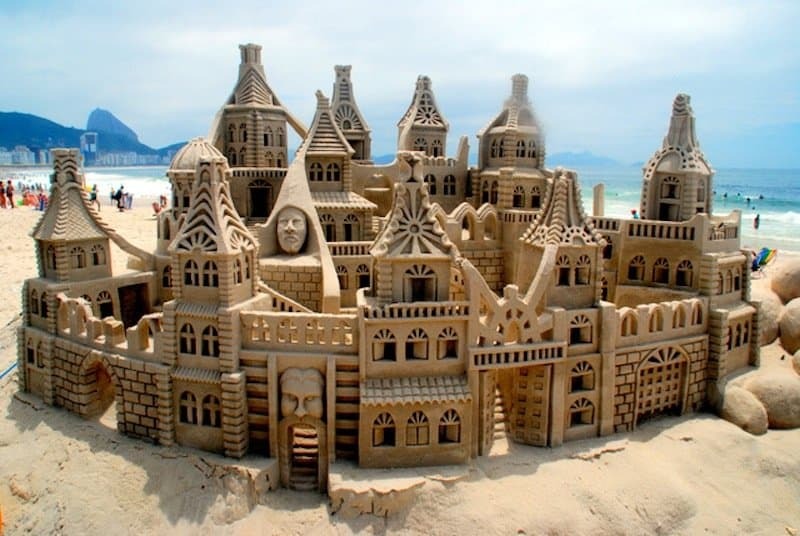 Such sandcastles should be featured as nearby attractions. 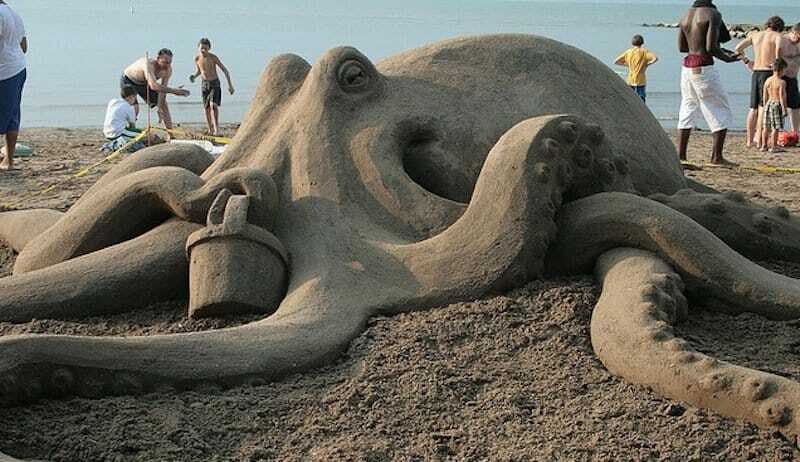 This giant octopus looks as if it came straight from 20,000 Leagues Under the Sea. Hopefully it didn’t scare the nearby kids too much – or adults, for that matter. 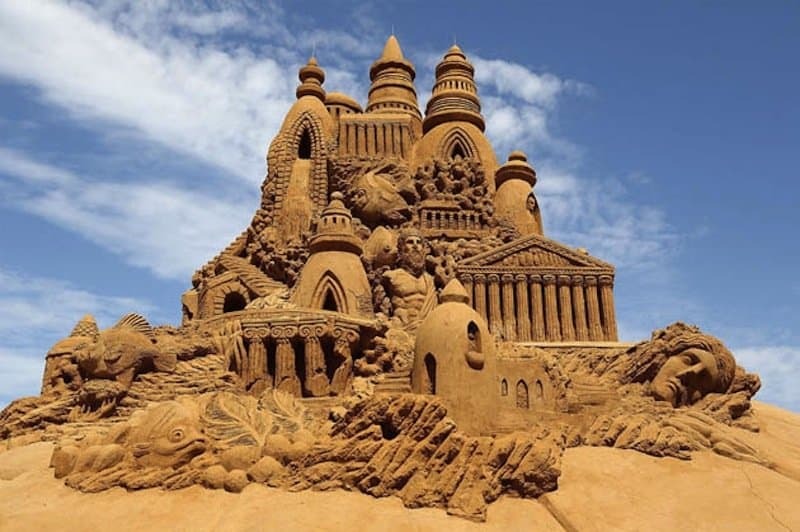 Archeologists likely stumbled across this temple-like sand castle and thought they had discovered some forgotten, ancient city. 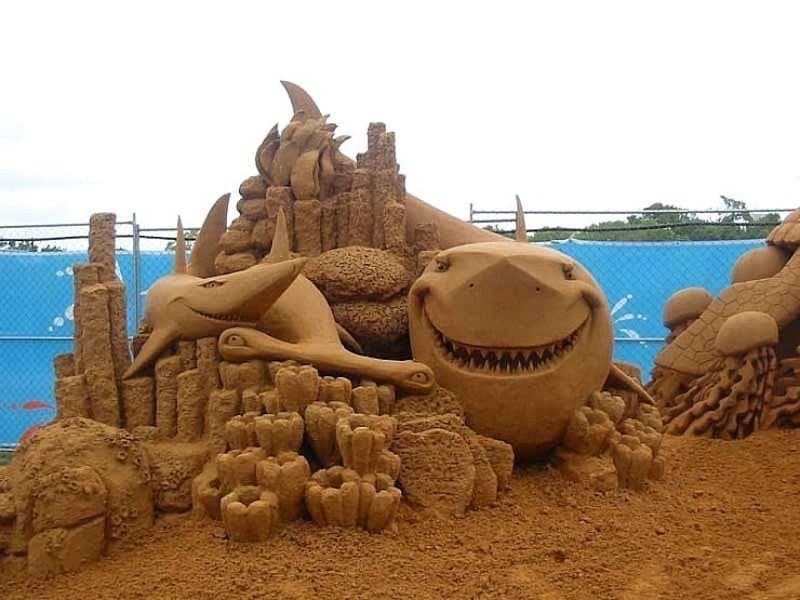 Upon closer inspection, they discovered it was just a sandcastle. The intricacy, though, likely rivals the architecture of Greek and Roman times. 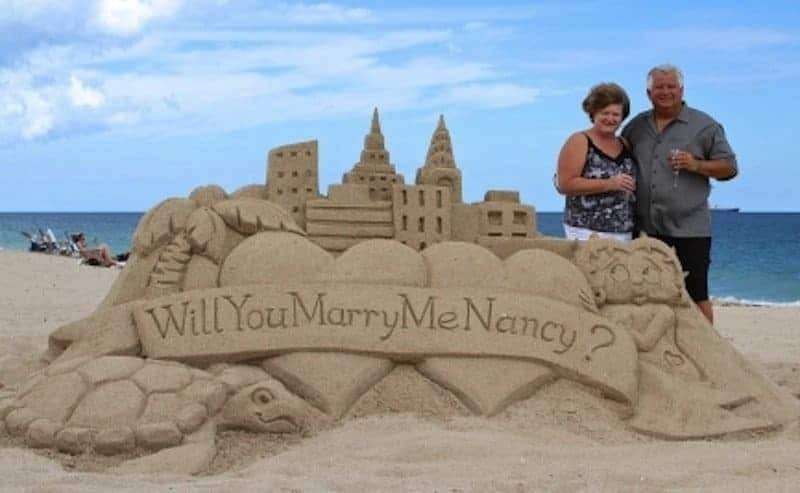 As far as marriage proposals go, this one ranks high. 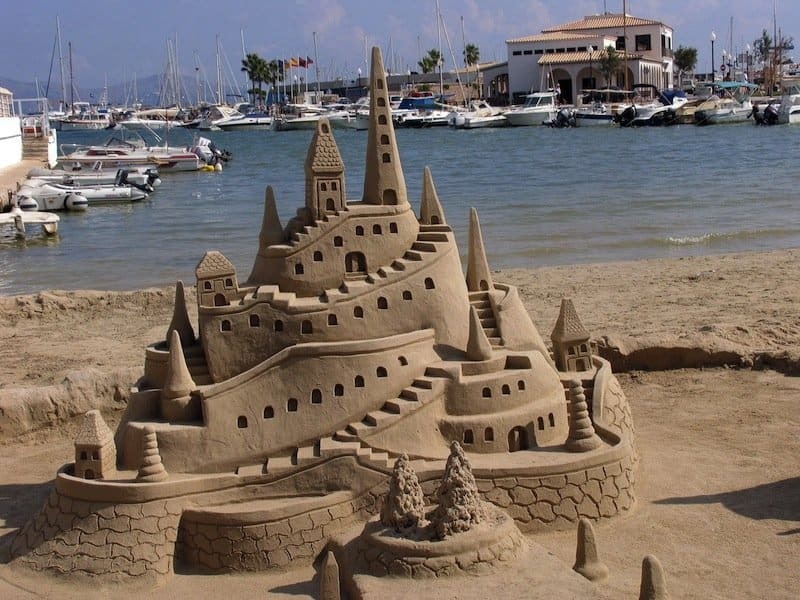 Building such a sandcastle certainly implies a sense of dedication and loyalty. That old Cheshire cat from Alice in Wonderland is up to his old tricks again. Hopefully he won’t vanish too soon like in the story. 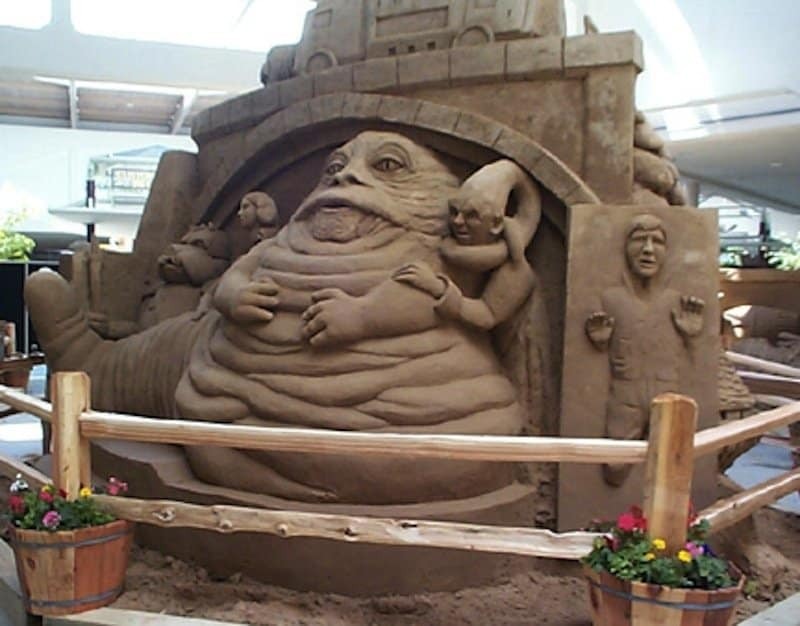 Looks like Jabba the Hut from Star Wars got a taste of his own medicine: where Han Solo was once encased and frozen in metal, Jabba the Hut is now stuck in a sandcastle. 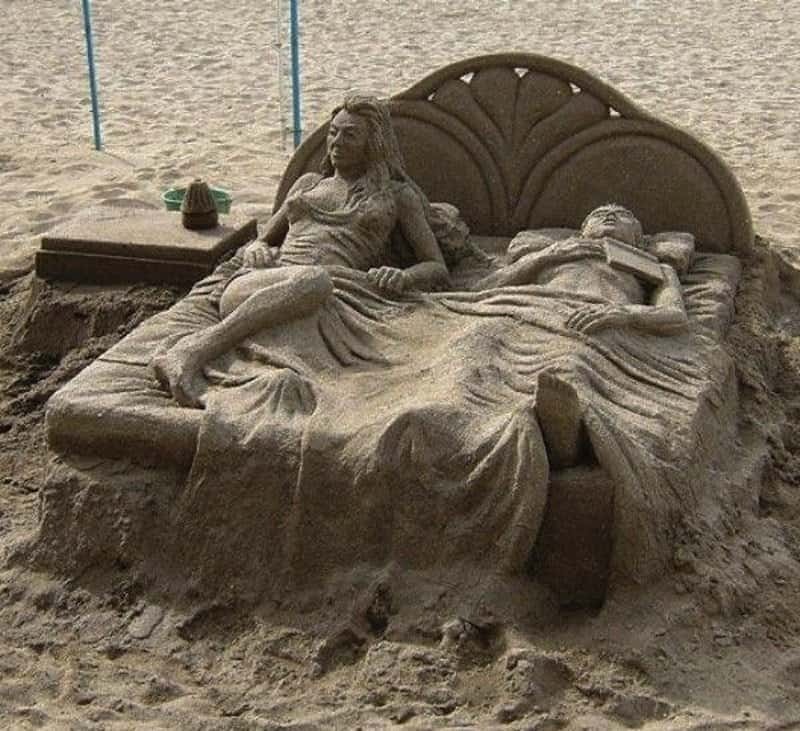 This couple went to bed and suddenly woke up as a sand sculpture. The book the man is reading must not be too good. At least they look comfy, and it must be nice to be able to sleep on the beach. Here, Dorothy and the gang from The Wizard of Oz are pausing to take a rest. 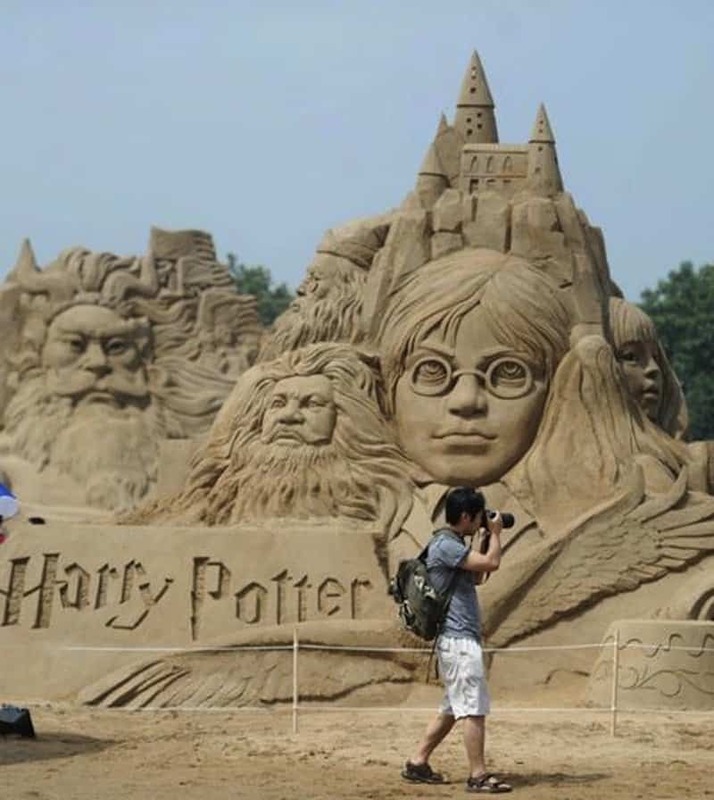 The only problem is they stopped a little too long and became encased in sand. And they were so close to the castle, too! 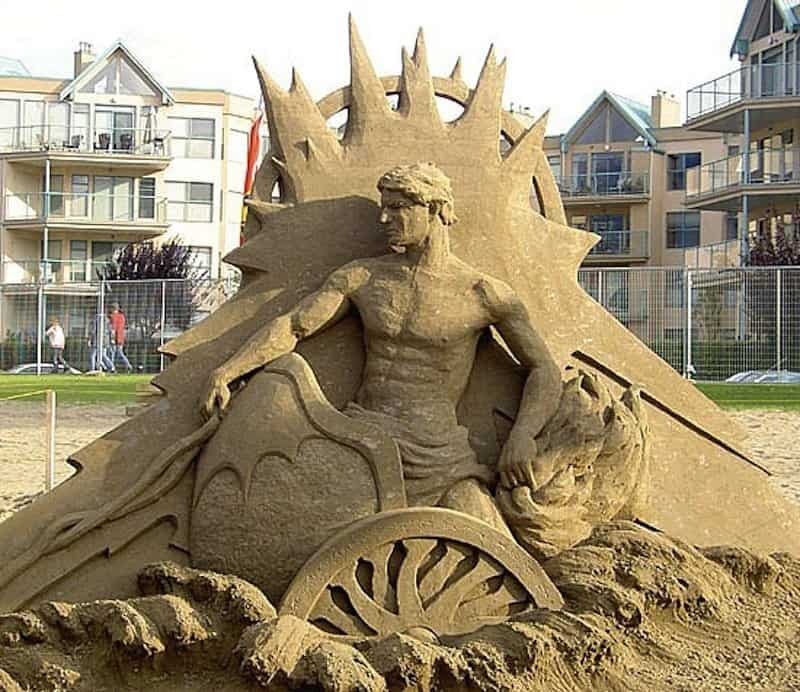 So that’s what happened to the Greek god Apollo! He crash landed on a beach and decided to kick back for a while. Everybody needs a vacation from time to time. Golem is still trying to get his ring back. Unfortunately, the sculptor put it just out of reach, so Golem will be frustrated for some time to come. 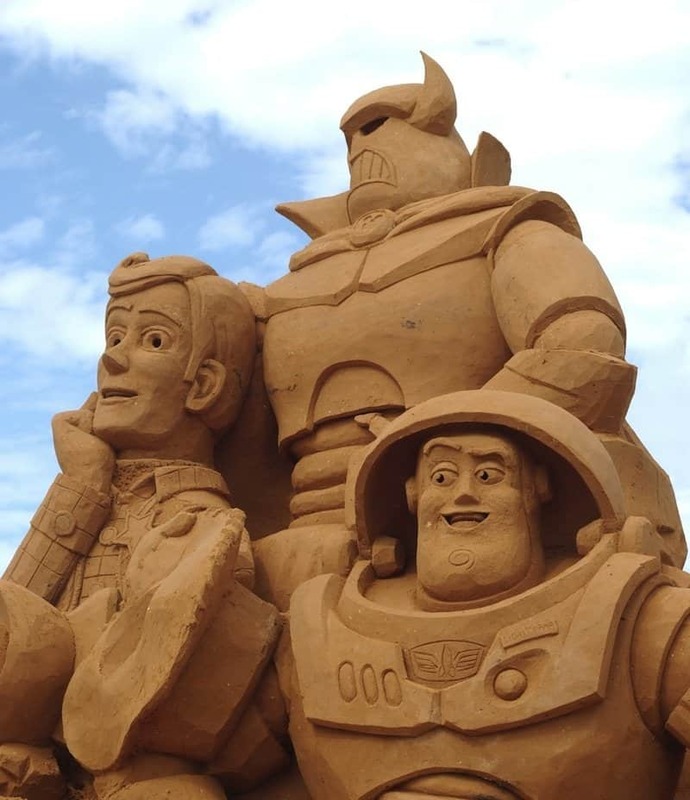 One day, Buzz Light Year got up and said, “To infinity and beyond!” but then the gang got lazy and decided they just wanted to hit the beach instead. 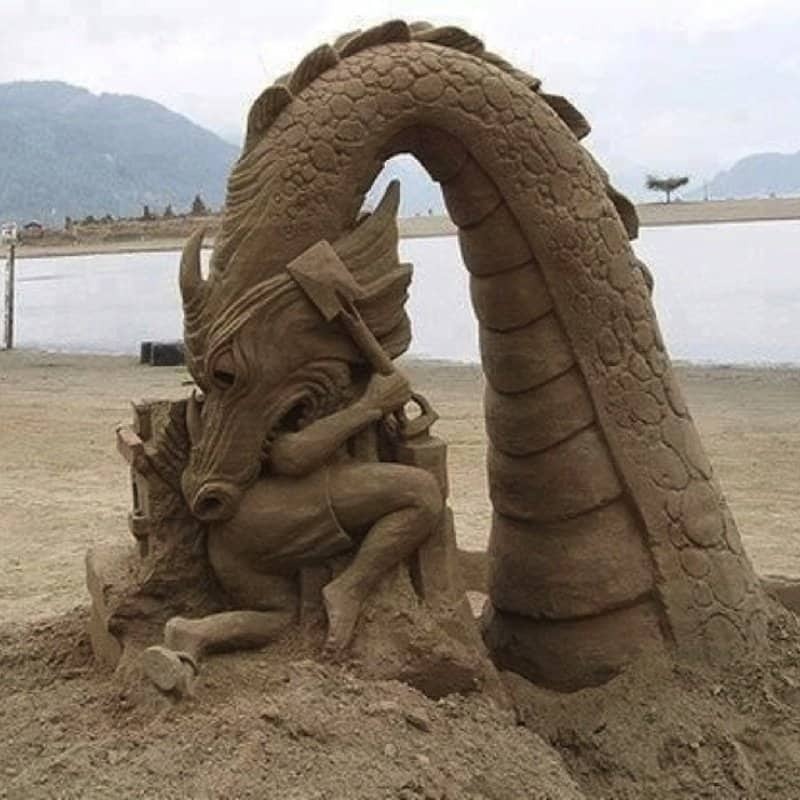 In recent weeks there have been numerous sightings of dragons frequenting beaches. They are considered dangerous, and civilians have been cautioned to watch their step. 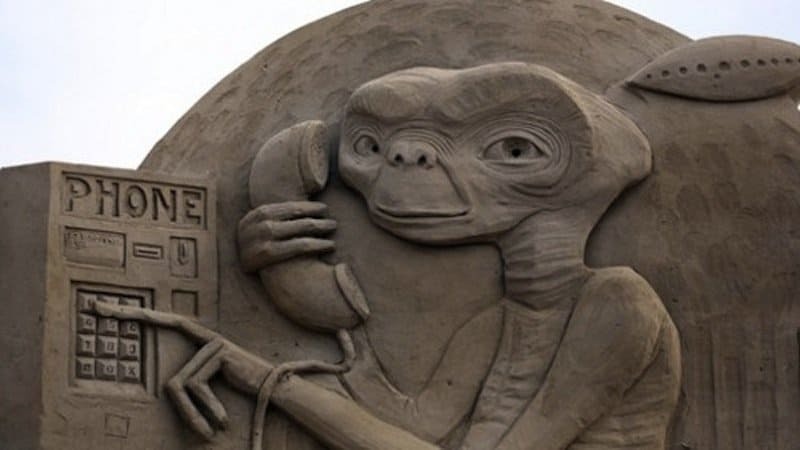 This sculptor decided to give Disneyland and other theme parks a run for their money. We hope the ticket prices are reasonable. 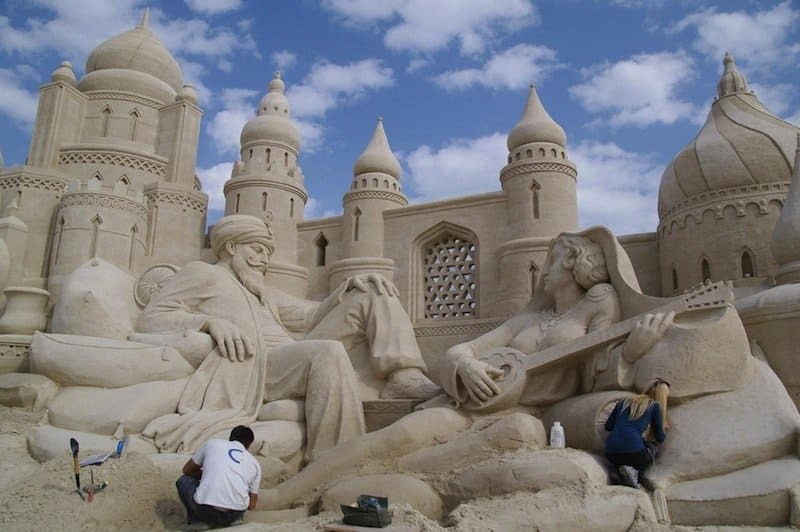 This sandcastle is so intricate that the sculptor might as well move in. However, we’re not sure what the property taxes might be on a residence like this. Looks cozy, though. 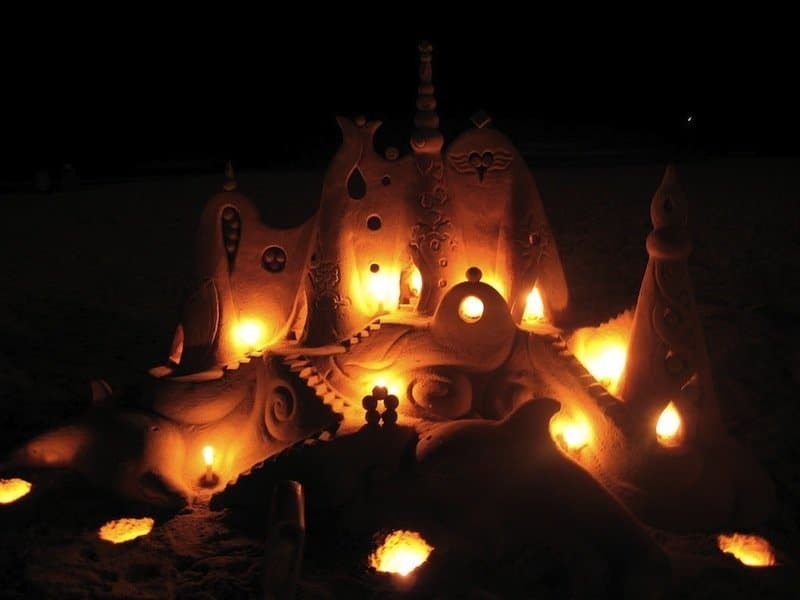 At night and with a few well-placed candles, some of these sandcastles look even more glorious. 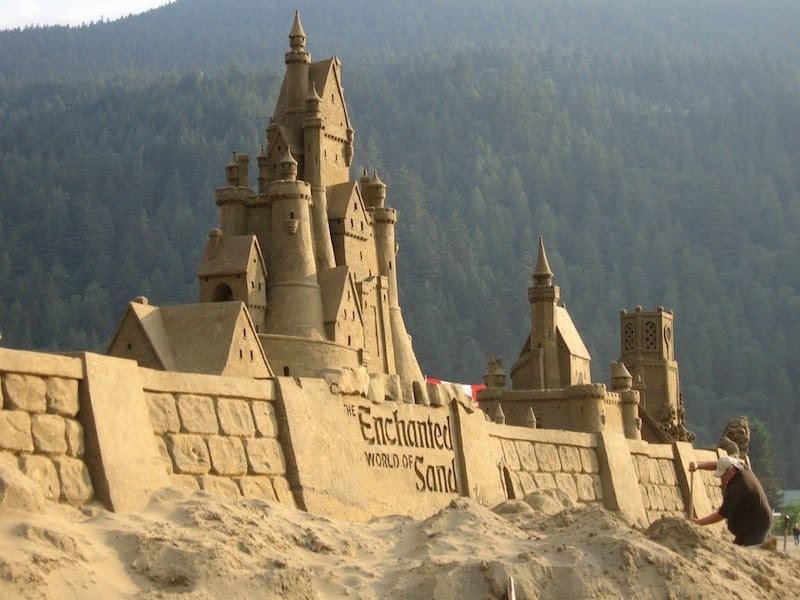 Having such a sandcastle in the background would be a great addition to any beach party or campout. Someone decided to craft another version of Mt. Rushmore. However, instead of using ex-presidents to populate it, they used characters from the Harry Potter novels. E.T. finally reached a pay phone. Hooray! It looks like he’s getting ready to make a “collect” call. Just be careful when you’re walking along the beach: you might take a wrong step and all of a sudden find yourself whisked away to 1001 Arabian Nights. Where’s the genie’s lamp? Looks like another group of Disney characters found their way to the beach. These sharks accidentally got washed up on shore, but they seem to be having a good time nonetheless. The sculptor of this one is obviously a fan of going green. 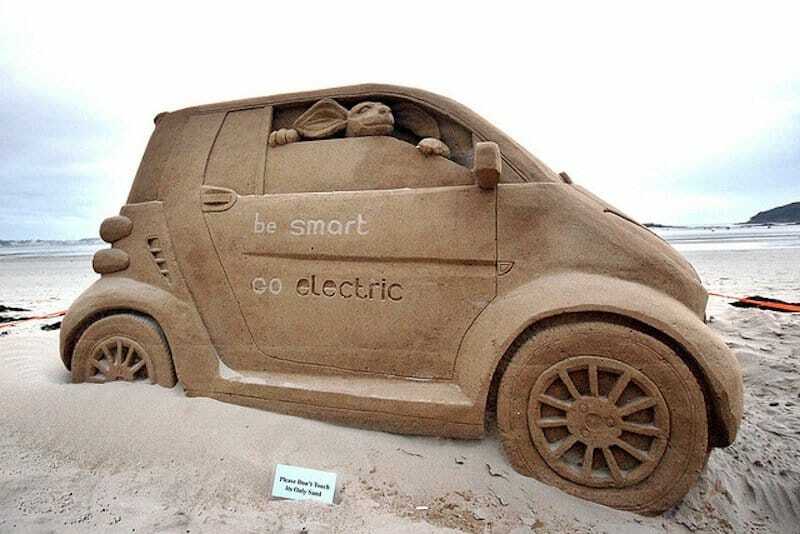 He or she went ahead and parked their Smart car directly on the beach. The dog in the window is an awesome touch.